According to tradition, the sun was created at the moment of the spring equinox1 which coincided with the first moment of the fourth day of creation—the day when G‑d set into orbit the sun, moon and all the heavenly bodies.2 Since, in Jewish tradition, the day begins at the previous nightfall – as we see in the Torah's account of the story of creation, "It was evening, and it was day..." – this actually happened with nightfall on Tuesday evening. The starting point is the first moment of the (evening preceding the) first Wednesday in history—the fourth day of Creation. Let us use Tuesday evening at 6:00 p.m. as a rounded off time. According to the astronomical calculations of the 3rd century Babylonian sage Shmuel – regarding whom the Talmud7 says, "He was familiar with the pathways of the heaven as with the streets of his hometown Neharda'a" – the length of a solar year is 365.25 days, or 52 weeks plus 1¼ days.8 It thus follows that precisely one year later, when the sun returned to the original position it occupied at the moment of its creation, it would be 1¼ days (one day and six hours) later in the week: Wednesday at midnight. After two years, it would be 2½ days later in the week: Friday at 6:00 a.m. Only after 28 years, would the sun return to that position on Tuesday at 6:00 p.m. Many will undoubtedly take note of the fact that the spring equinox this year will fall on March 20—nineteen days before we will recite the Birkat Hachamah. a. All future years were to consist of 365 days in a normal year, and 366 days in a leap year. b. A leap year would occur every fourth year. c. The spring equinox was set as occurring that year on the 25th of March at 6:00 pm. But since the Hebrew day begins at nightfall, the corresponding Hebrew date for the equinox would actually be the 26th March—an important factor as we will soon see. So, in each Julian millennium there are 365,250 days (750 normal years [750 x 365 = 273,750] and 250 leap years [250 x 366 = 91,500]). As modern science has established, however, a solar year is 365.24219 days.10 As such, 1000 tropical years is 365,242.19 days. The Julian millennium – and Shmuel's too – is thus 7.81 days longer than the accurate solar millennium (365,250 - 365,242.19). b. To prevent the need for any future corrections, a centenary year not divisible by 400 is not a leap year. The years 1700, 1800, and 1900 were therefore not leap years, whereas the years 1600 and 2000 were. As mentioned above, the Birkat Hachamah is scheduled for the spring equinox, at the moment when the sun was set into orbit. The Talmudic ruling quoted above implies that with regards to seasons we ascribe primacy to Nissan—to the conception of the world in G‑d's thought, and the spiritual equinox, as it were: the time when the concept of a spring equinox entered G‑d's mind, rather than the point at which this concept was concretized in physical time. We are actually calculating from a base date that doesn't even exist—the spring equinox that "occurred" in the year before creation! Though Rosh Hashanah, when we celebrate the anniversary of the creation of the world, is on the 1st day of Tishrei – approximately six months before the spring equinox – in all areas of Jewish law that pertain to the calculations of "tekufot," seasons (and equinoxes falls under this category), we calculate from Nissan. For more on this topic, see last section of this article: "The Chassidic Angle." Talmud, Berachot 59b. Code of Jewish Law, Orach Chaim 229:2. This calculation seems to be problematic because 5769 is not divisible by 28. This Birkat Hachamah, the 206th cycle, should seemingly have been last year, in 5768 (206 x 28 = 5768). This discrepancy arises because there was no year '0'. The first 12 months after creation were labeled year '1', hence the first Birkat Hachamah was said – by Adam presumably – 28 years later, in the year 29. All subsequent cycles are thus divisible by 28 with a remainder of 1. In fact, the arrangement of the heavenly bodies will not even resemble the way they were at the time of creation. Modern astronomy calculates the solar year (also known as a "tropical year") to be 365 days, 5 hours, 48 minutes, and 45 seconds (365.24219 days), 11 minutes and 15 seconds shorter than Shmuel's calculation. Shmuel, a prominent scholar and astronomer, was no doubt aware of the more accurate duration of a tropical year. Nevertheless, he used the less accurate 365.25 since this figure is much easier to work with, especially for the general populace that for the most part was not proficient in mathematics, and needed to make computations for the performance of various religious precepts (see Sefer Ha'Ibbur by the Ibn Ezra 8a; Responsa Tashbetz vol. 1 s. 108). Similarly, we find that the Talmud (Eruvin 13b) gives a value of 3 for pi instead of 3.141592. The astronomer Ptolemy acknowledged that he, too, used multiples of 60 in order to avoid dealing with fractions. (Ptolemy, Almagest 1:10). Another Talmudic sage, Rabbi Adda bar Ahava, computed the tropical year as 365 days, 5 hours, 55 minutes and 25.4 seconds—6 minutes and 40.4 seconds longer than today's calculation, about 5 minutes shorter than Shmuel's year, and the more accurate of the two systems. Shmuel's year is used for determining when to say Birkat Hachamah and the prayers for Dew and Rain in the daily prayers. Rabbi Adda's year is used for all other halachic calendar calculations. First, in order to correct previous inaccuracies, the year 46 BCE was made to last 445 days... the so-called "Year of Confusion." This was immediately accepted in Spain, Portugal and Italy. Thursday, October 4, of that year was thus followed by Friday, October 15. Germany, Sweden and Denmark accepted the changes in 1700. England accepted the Gregorian calendar in 1752, by which time the Julian calendar was 11 days ahead of the tropical year: September 2 of that year was thus followed by September 14. 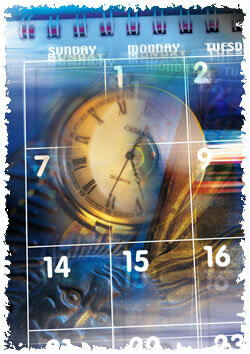 In Russia, the Gregorian calendar was finally accepted on February 14, 1918, by which time 13 days had to be dropped. For this reason, in the 22nd century Birkat Hachamah will always occur (in the years 2121, 2149, and 2177) on April 9, rather than April 8. According to the Gregorian calendar a centenary year not divisible by 400 is not a leap year. The year 2100 is not divisible by 400 and will thus not be a leap year; the Gregorian Calendar will fall one day further behind Shmuel's calendar. The Pachad Yitzchak (entry Chamah b'Tkufatah) explains that "one who recites this blessing, even if not in its proper time, praising G‑d for the works of creation, has not recited a blessing in vain—for it is a blessing of praise that is worthy of being said at any time and moment." In a talk delivered on the Last Day of Passover 5713 (1953). Ordinarily, each method of Torah exegesis is self-sufficient, supplying the answers to all the questions it may present, without need to resort to another method to provide resolutions. Torah, however, is essentially G‑dly wisdom, and there is a need to ensure that we always bear in mind that it – every part of it, even those that seem most logical – is actually Divine wisdom. Therefore G‑d instituted that certain issues would remain unanswerable without an understanding of the concepts as they are elucidated in the mystical texts—those teachings of Torah that are overtly Divine (see Likkutei Sichot vol. 19 p. 209). Rosh Hashanah actually is the anniversary of the sixth day of creation, the day when Adam and Eve were created. The sun was thus created two days earlier, in the 28th of Elul. See Nehar Shalom, kavanot for Rosh Hashanah; Likkutei Sichot vol. 16 p. 483-4. See Our Other Head for more on this topic. This also explains why we follow Shmuel's calculations for the purposes of computing tekufot, though Rabbi Adda's calculations (see above, footnote 8) more precisely describe the manner in which the seasons play out in physical time (as noted by Maimonides, Laws of the Sanctification of the Moon 10:6, "This [Rabbi Adda's] calculation is more accurate than the first one [Shmuel's]"). Much of the information presented above originally appeared in an article by Dr. Julian Schamroth, on www.Kehillaton.com. But the Sun Is in the Wrong Place! Solar Max Isn't this whole subject interesting now in 2012/ 5772, in light of the current scientific facts about the sun's current condition being called The Solar MAX. Between this year of 2012/ 5772, and 2013/5773 Nasa scientists say the sun will reach a Solar Maximum. Not being sure what that outcome will be for the earth. Maybe Messiah will come on a day like this! In LIGHT of this news it gives new meaning to Malachi 3:20, in the Neviim. The site also contains several other articles on related matters. creation I thought the sixth day of creation happened on the 1st of tishrei on Rosh Hashana, when humans were created, how then is the fourth day of creation in nissan? Birkat Hachama - the Truth (2) There are glaring errors in this article. Firstly, the Julian calendar began in BCE 45 (astronomical nr: -44), NOT 46 BCE. And what is your source for the extraordinary statement that Julius Caesar set the March equinox date at Mar 26 instead of March 21? It makes no sense either logically or astronomically. Firstly, why should it have been March 21? The equinox that year was March 22 Julian, and what is your evidence that Julius put it at March 26? AND you doesn't understand the Jewish calendar either! The 12 months after creation was year 2 NOT 1. (Footnote 5). There were two other competing numbering systems, but it is clear you are not using them for you number this year as 5769. And the Shmuelian March tekufa of that year was on THUR Mar 26 Julian at 06:00 (Jewish Time). The first Shmuelian tekufat Nisan of the calendar (Wed at 00:00) was the (mostly theoretical) year 1, in the months BEFORE the creation. Re 2: Lindsay But the Sun does not have an orbit That was a big issue in Galileu's times but since Einstein's Relativity there's no diference in saying that the sun orbits earth or the oposite. It's all dependent on where do you set the reference point and how do you choose to calculate it. It's similar to standing in a moving train with no windows. You are going fowards to a outside observer and not moving at all to a inside observer. Theological, not purely astronomical celebration With arbitrary precision there may never be an EXACT lineup. 365.25 is a great first approximation, hence the celebration. Re: Lindsay "But the sun does not have an orbit" 1. When we refer to the sun being in the same position, we actually mean that the earth is in the same position (relative to the sun). The earth's position in its orbit (but not its position in its rotation) repeats every approximately 365.2422 days (approximately 1 year). The earth's position in its orbit and the earth's approximate (although not exact) position in its rotation repeat every 1461 days (approximately 4 years). This and the day of the week repeat every 10,227 days (approximately 28 years). Timing So, in fact of point would it not hold true that the head of the biblical new year would be at the first of Nissan, and the time of Rosh Hashanah would be the begining of the civil year? Shmuel's millenium The equinox occurs every 365.2422 days. The "drift" during 2000 years would be 15.6 days, not 19. The article states that the Shmuel's calculations were based on the equinox of the year 46 BCE; that was between 2050 and 2060 years before the present time, so the drift would be 16.0 days.